The child often fails to give close attention to details or makes careless mistakes in schoolwork, work, or other activities. The child often has difficulty sustaining attention in tasks or play activities. The child often does not seem to listen when spoken to directly. The child often does not follow through on instructions and fails to finish schoolwork, chores, or duties in the workplace (not due to oppositional behavior or failure to understand instructions). The child often has difficulty organizing tasks and activities. The child often avoids, dislikes, or is reluctant to engage in tasks that require sustained mental effort (such as schoolwork or homework). The child often loses things necessary for tasks or activities (toys, school assignments, pencils, books, or tools). The child is often easily distracted by extraneous stimuli. The child is often forgetful in daily activities. The child often leaves his/her seat in the classroom or in other situations in which remaining seated is expected. The child often runs about or climbs excessively in situations in which it is inappropriate. The child often talks excessively. The child often blurts out answers before questions have been completed. The child often interrupts or intrudes on others (for example, butts into conversations or games). Homeopathy helps a lot in ADHD children. If treated with homeopathy constitutionally way of treatment after taking a thorough case history then this can be cured permanently. In our Multicare homeopathy online treatment center many ADHD children have benefitted using our advanced homeopathic treatment packages. We apply the most scientific and research based homeopathy treatment package for this ailment that gives a long standing cure from this condition. Genetics - Genetics are a factor in about 75 percent of all ADHD cases. Toxins & others - alcohol and tobacco using during pregnancy and environmental exposure to lead are the cause of developing ADHD. Complications during pregnancy and birth—including premature birth—might also play a role. Diet – habit of taking various junk foods colored with artificial food colors, the preservatives helps to store the food for long periods are also some major cause of ADHD. Homeopathy treatment is based on the totality of symptoms i.e. selection of the right remedy considering the total symptoms of the patient that include physical, mental and spiritual entity. Homeopathy helps to treat the disease at its deep seated causative point so able to cure the disease in its actual term. In ADHD the frontal lobe of the brain is not well developed which responsible for the slow expression of the executive function like problem solving, attention, reasoning, planning etc. That’s why the child behaves in an abnormal way. Here one question comes in mind why that part of brain responsible for executive function develop slow while in other’s child case its development is normal though both are exposed to the same environment, diet and social attachment. Yes genetics can play a major role but if the genetic is the only reason for ADHD development then why only 75% of ADHD child have the hereditary etiology why not 100%. So besides that there is something hidden dynamic causative factor that plays a major role in controlling, expressing and developing of all those pathological changes at the physical level that stands for ADHD disorders. If that could be treated successfully then automatically the pathogenesis of ADHD will gradually change to normal. The pathogenesis of slow development of frontal cortex or low synthesis of neurotransmitter dopamine are just the physical manifestation at the brain tissue level of some internal deranged dynamic causative factor which till yet has not been detected by the medical science. Its present is not at the physical level rather at the emotional or dynamic level which need to be fixed. A proper homeopathy treatment based on body mind spirit level of holistic approach can able to cure this disorder permanently. 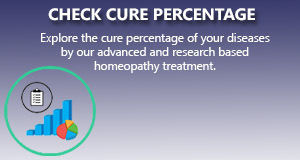 Before you consume any homeopathy medicine, contact an expert immediately. It would be better for you. Multicare Online Homeopathy Treatment Center is a well established homeopathy treatment center in India offering the online treatments to thousands and thousands of patients not only in India but throughout the globe. Many critical cases have been successfully cured by Dr.Satapathy's treatment who is the founder of this world renounced modern homeopathy treatment center. Homeopathy is new age medicines. Homeopathy treatment needs a lot of experiences. We have patients in all over the world. We are one of the renounce homeopathy treatment centers who offer a scientific and advanced way of homeopathy treatment to his all patients.